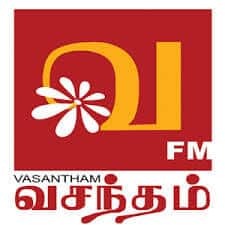 Vasantham FM Sri Lanka Radio Live Streaming Online . Listen Over 100 Sri Lanka Radio Stations Live Streaming online . Enjoy Live Stream of Sri Lankan Music News 24 by 7 Online . It was Started on April 21, 2008 . Frequency : 97.6 Mhz ( Colombo, North, North Central, North Eastern ) . In 2011 Sri Lankan Government changed all radio Channels So now Frequency is 102.6 FM / 102.8 FM . Address : Vasantham FM , P.O. Box 37 , Wickramasinghepura , Battaramulla , Sri Lanka .